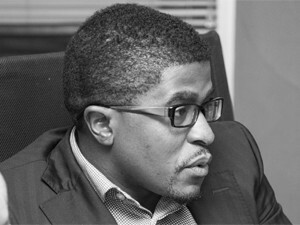 Thuthuka Mhlongo, strategic business development, T-Systems. Clinton Jacobs, analyst at local research firm BMI-TechKnowledge (BMI-T), points out that the term enterprise mobility may mean different things to different people, especially how it influences the business-IT dynamic. Accordingly, he posed the first question: "What, exactly, is enterprise mobility?" Lindsay Britz, marketing manager, Magic Software SA, suggests enterprise mobility involves mobilising business processes on the device, whether it's the desktop, the tablet or the smartphone. She adds a caveat that the process can be complicated by development issues such as back-end integration and the need for multiple security layers. William Hardie, MD of Knovation Solutions, says enterprise mobility by definition should focus on its impact on the enterprise. "There are a lot of different components that contribute to the enterprise mobility concept and all are inter-related," he says. The starting point is the end-user hardware and the proliferation and explosion of devices, which Hardie notes are outweighing your traditional laptop/desktop users. This, he says, is driving enterprise mobility, but the challenge is how to secure those devices using tools such as MDM (mobile device management). "Once you have a secure environment that is seamlessly integrated, it opens up the holy grail (of) how we can start using those devices as a business tool," he says. Russell Steyn, executive for professional services at Agilitude, concurs, adding that mobility has seen a big shift towards knowledge workers being able to work remotely. "Fifty percent of all employees are already working in more than one workplace on any given day," he says. He believes every enterprise mobility strategy should be looking for ways to put the customer into the centre of every single business process. "And it's not really about taking existing processes and archaic applications internally and trying to wrap them in HTML (to make them) available on the mobile device," says Steyn, insisting that that would be counter-intuitive. Thuthuka Mhlongo is involved with strategic business development at the local subsidiary of T-Systems. He says tendencies from the consumer space are dictating user expectation of the enterprise, meaning the enterprise must meet or surpass the levels of usability to which employees have become accustomed. Mhlongo asserts this against a background of business being primarily concerned with security and device management up until now. User experience of the mobile device is critical, he adds, if enterprise mobile development efforts are to be adopted en masse. 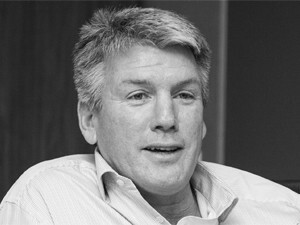 Simon McCullough, channel manager for Citrix South Africa, says enterprise mobility is about people and connecting people to apps and data, securely in any form or fashion. "A lot of organisations focus on devices with their mobility strategy. Of course, MDM is important, you have to secure the device, but it's about turning that device into a productivity tool," he maintains. "And how we further enable it by ensuring we're getting intellectual property securely onto those devices without any forms of data or information leakage taking place." Basha Pillay, head of technology: end-user computing at Dimension Data, Middle East and Africa, believes many organisations haven't properly unpacked the central question under discussion: what is enterprise mobility? "It really is an extension of the enterprise, outside of the boundaries of where you normally see the enterprise. So, it's not about devices and it goes beyond technology. It should centre on the user... and the technologies, systems, processes will enable them to have access to those systems outside of normal working hours and outside of the normal working space," he says. Fifty percent of all employees are already working in more than one workplace on any given day. Russell Steyn, executive for professional services, Agilitude. Maciek Granicki, mobility consultant for Gijima, agrees with a customer-centric focus and suggests business take an outside-in view rather than the usual inside-out approach. If you don't approach it that way, you run the risk of failure, because sometimes your systems just aren't ready, he says. While Craig Terblanche, director of OutSystems South Africa, agrees with the idea of end-user centricity as a central pillar, he says the business impact goes much further. "It's not just about leveraging the processes within the organisation to get closer to the customer. It's about creating the reach to interface with the customer and deliver a quality service to him, where he wants it and on a device that he chooses," he elaborates. Gareth James, solution strategist for mobility and cloud, CA Southern Africa, suggests the local market is still trying to come to grips with the device and hasn't yet seen the opportunity it presents. "The real business benefits come through... with the app. That's where we really see innovation happening because applications are not just an extension of the traditional enterprise," he says. According to James, developers are innovating by making use of features of phones not usually found on PCs, such as the camera or GPS location. It's possible to scan a bar code and update location-based inventory systems, he says. 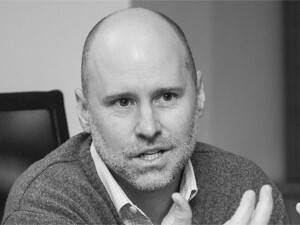 Gareth James, solution strategist for mobility and cloud, CA Southern Africa. "These kinds of innovations change the way we interface with people and data, and give greater intelligence to the back-end, effectively making the enterprise cleverer in the way in which it functions," says James. Granicki says a primary benefit of BYOD is that the device is already trusted by the user. "We are building new processes, we build a new app and we empower the user, but on the platform they're comfortable with. So as long as you keep that in mind, you should get your adoption and your increase in efficiency and productivity," he adds. Mhlongo adds that while the benefits of BYOD and mobility are well-understood and generally accepted, the thorny issue of privacy needs to be addressed. There is a disconnect between the enterprise and the employee in terms of trust, because the device belongs to the worker but the company wants to monitor it and control the information on it. "It's my device and I'm bringing it into the organisation," he says. "To what extent do you want to monitor it, and, by implication, me?" It's an important question because, as Mhlongo says, employees are well aware that by bringing their own devices, they're effectively subsidising the company's IT budget. The crux, he adds, is getting employees to adopt the security policies within the organisation, and only then can you start talking about apps. Pillay says one of the biggest barriers he sees is the lack of a strategy for enterprise mobility from organisations. He reports that for many, it is merely a knee-jerk reaction to what their competitors are doing. For true efficiencies and to unlock true value, he believes enterprise mobility needs to be approached in the same, comprehensive way that any other business process is addressed. "That's where we're failing, probably more locally, but on a global scale as well. We've seen a lot of customers back-track from a BYOD policy because they haven't completely understood the complexities involved," says Pillay. It gets really interesting when we start to look beyond just securing the device and the app and looking at how we can push productivity. These, he notes, include whether or not the device is enterprise-ready and, echoing Mhlongo, where the boundaries are in terms of device management and privacy. Pillay says many organisations now want to buy a device or range of devices and issue them to employees, primarily for work purposes. However, that approach is no silver bullet either, according to Steyn. "We've seen spectacular failures," he says, "one where a company decided on a Windows device that it issued in 2013 preconfigured with the company's apps and VPN tunnelling. "All you had to do was tap and work. That was the theory, tap and work. So, today, they sit with 500 very expensive paper weights. Adoption was less than zero, people couldn't connect... they ended up loading commercial apps onto their private devices to do their normal work anyway," reports Steyn. James says this illustrates the quandary business faces: mobility strategy and MDM are at odds. "We have enterprise mobility management but, unfortunately, the way it was implemented restricts productivity. Whereas a mobility strategy needs to be driving productivity," he says. McCullough believes too many customers make the mistake of a big bang approach. "Enterprise mobility is about profiling the users correctly; it's about ensuring that you get... the quick, easy wins in making users as productive as possible," he says. Rodney Taylor, MD of Itec Communications, disagrees. On the basis of his experience, he says the only way to go is to go big. "It's all or nothing. You have to implement this thing from top to bottom in order for it to work. We get a lot better traction than with a bit by bit approach," he insists. 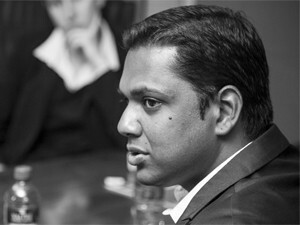 Basha Pillay, head of technology: end-user computing, Dimension Data (MEA). To wrap up the discussion, Jacobs asked the participants to advise local businesses on how best to tackle enterprise mobility. Steyn says enterprise mobility is not a point solution, it's something that has to be done and companies need to get their heads around how to do it in the most efficient and effective manner. Importantly, he adds, IT departments must completely reassess how they do software development and testing. The key, says Steyn, is ultra-rapid application development with a much greater emphasis on testing and evaluation. Hardie says mobility has changed everything in enterprise. For him, it always comes back to the strategy as the point of departure. And that would depend on external factors such as the type of business, how ready the company is, how mature it is technologically, expectations of the technology and the stakeholders - from employees to customers. He too does not subscribe to the big bang approach. You consider these factors and then build your strategy, which could be a three-year strategy or a six-month strategy, he elaborates. Terblanche says the fundamental issue is change, because what all businesses will find is that whatever it is they do now, it has to change, it has to be improved to give the customer a better service. James believes MDM should be part of the mobility strategy, but not the be-all and end-all. "It gets really interesting when we start to look beyond just securing the device and the app and looking at how we can push productivity," he says. McCullough suggests the focus should be on the apps and the data and the people, and how to connect those three securely at any time. "And, of course, you need to do a proper profiling of users, taking the easiest user groups first, giving them quick ways in and leaving the most complex users for last," he says. Ironically for a technologist, Pillay says business should ignore the technology. "Place the user at the centre; understand what your needs are from a business perspective; address governance, risk and compliance; look at your people, your processes and technology; and understand the contractual elements as well," he advises. William Hardie, MD, Knovation Solutions. Mhlongo believes organisations should adopt two similar but different strategies: one for the business-to-employee interactions, and another for the business-to-customer engagement. The two, he says, are different primarily in the levels and types of data that is shared with the different categories of user. Britz insists a key aspect of enterprise mobility is understanding the business process and how it could be more efficient. Then, she advises, take a step back and work out the tools required to enable mobility within the channel, including customers, employees and supply chain partners. For Granicki, the key is for the process and/or outcome to be measurable and that some processes can be eliminated. "It can be an opportunity to streamline and to get rid of processes that just do not make sense anymore," he says. Taylor, on the other hand, warns that nothing is possible without infrastructure. You can have the sexiest app in the world, he says, but it all falls down when there is no connectivity. Jacobs sums up by reading the conclusion of a related project he completed a while back: "It is imperative to have a holistic enterprise mobility strategy which includes all aspects from governance to application." And without intending to, he summarises almost everything that has been said.